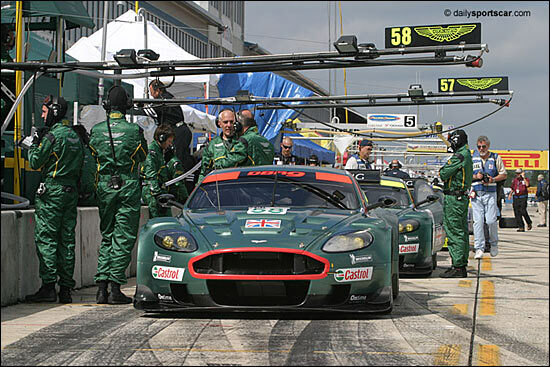 We cannot confirm any details yet (they should become apparent early next week), but two Aston Martin DBR9s will be at Sebring in March, for the 54th running of the Mobil 1 12 Hours. 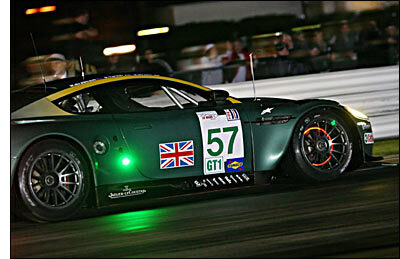 That will ensure a ‘replay’ of the epic 2005 encounter between the Aston Martins and the Corvettes – which went the way of the DBR9s, in their maiden racing appearance (one green light towards the end of the race, right). No details of drivers or tyres or a full 2006 programme – but we can confidently predict that the drivers in March will be as strong a collection as ever, with perhaps a new name or two (to Aston Martins, and perhaps Sebring) at the wheel. 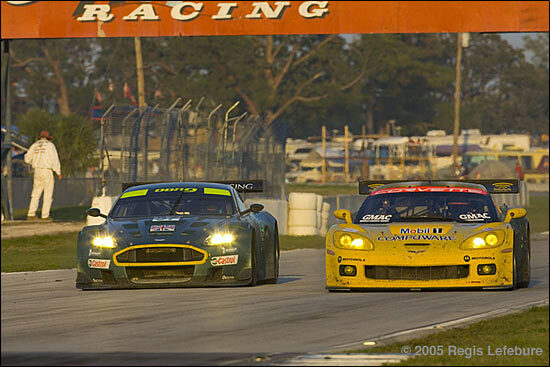 Sebring's 54th 12 Hours is already looking as though it is going to break all records at the track: advance ticket sales are 20% up on last year’s record numbers, and corporate hospitality has sold out already.